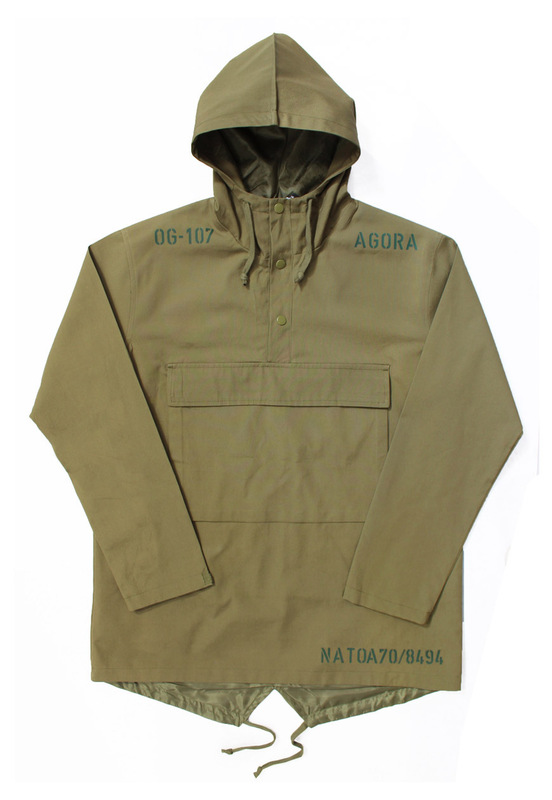 Agora Olive Fishtail Pullover Parka Jacket. Lightweight cotton body tailored for a slim fit. 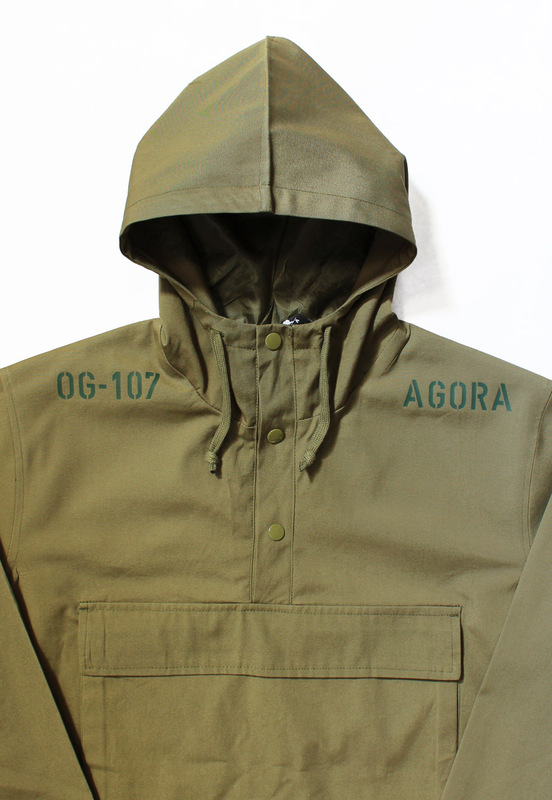 High collar with snap close buttons. Velcro cuffs and velcro close chest pocket.